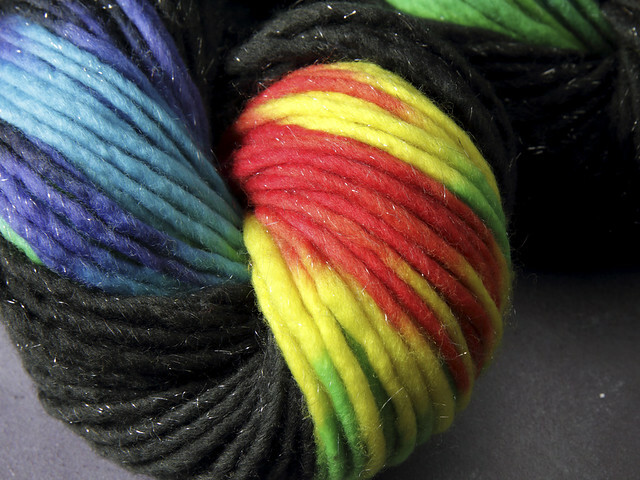 Right now, 1 yarn lover has this in their basket! 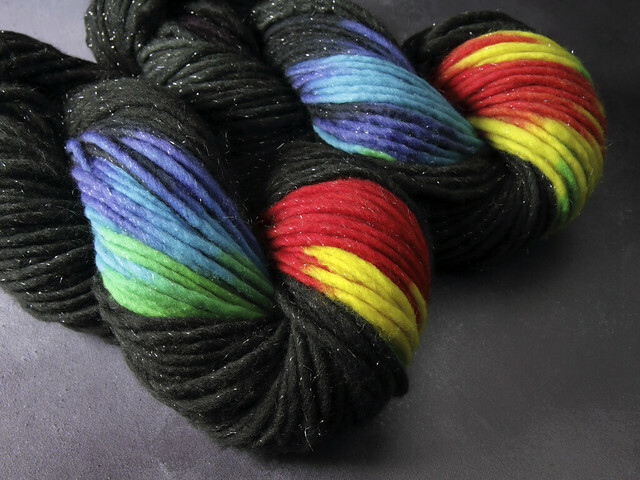 Shade: ZX – a rainbow on black, inspired by the ZX Spectrum classic computer. Part of our Rainbows Collection. 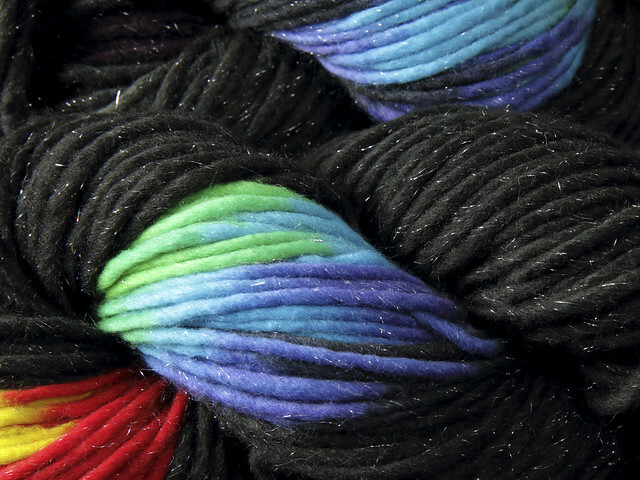 This fabulously plump yarn knits up quickly on big needles for those fun, frivolous, instant-gratification projects. In mammoth 200g skeins, you can make a whole scarf or a snuggly hat and mittens set with a single skein. 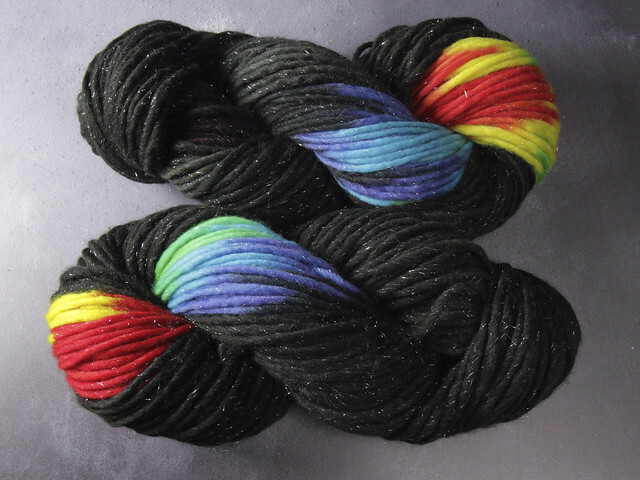 Phlump is available in pure Merino, or a sparkly Merino/Stellina blend. 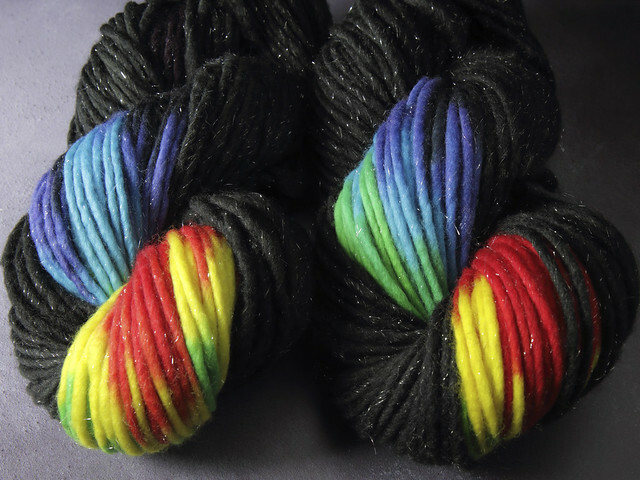 The wool fibres have been superwash treated to prevent felting, but as it's a singles yarn we recommend gentle washing.